I’ve been reading a book called Talent is Overrated* by Geoff Colvin. It’s a really interesting read. Geoff looks into all sorts of research to find out if talent plays a major role in a person’s success. The studies look at people like successful musicians, athletes, and businesspeople. While they can’t say with 100% certainty that talent doesn’t play a part in a person’s success, the research seems to indicate that the major indicator of success is PRACTICE. That’s the “dirty little secret.” It turns out hard work is behind every successful person. The top violinists had logged substantially more practice hours than the average players. The same was true across all categories. The people who engaged in many hours of rigorous, focused practice were the top performers. FOCUSED practice is the key. They found that sheer activity wasn’t enough. It doesn’t do me any good to sit down and “jam” on my guitar for an hour every day. The type of practice is also important. The top performers would focus their practice time on improving a specific area, a specific task. This isn’t fun work, but it yields big results in the long run. Another key factor in determining whether the practice is actually helpful is having some sort of feedback. This can be feedback from a coach to a player, from a teacher to a student, or from an audience to a performer. OR…you can create your own feedback, by comparing your work to others, or by comparing your work to your past work. As they say, it takes 10,000 hours to become an expert at something…and that means 10,000 hours of intentional practice. It’s serendipitous that I’m reading this book right now, because over the last few weeks I’ve been putting together a new product called Mix Practice. 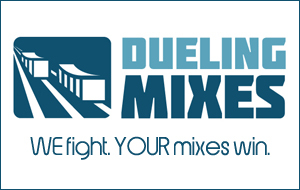 Mix Practice is exactly what it sounds like, a place to practice mixing. When you join, you get access to the complete multi-track files to my last two albums. You also receive the finished masters of MY mixes of each of the songs. Compare your mixes to mine and give yourself feedback. Now I know there are plenty of free multi-tracks to be found out there on the internet. Mix Practice is not free. However, you WILL get the added challenge of being able to mix two entire albums of material. Mixing an album is different from mixing a single. You have to take into consideration the whole project, and you try to maintain a consistent tone from song to song. That’s what you’ll get with Mix Practice. No fancy bells and whistles. Just raw tracks and a reference mix.